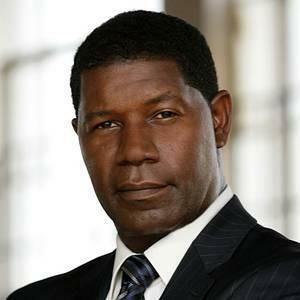 Dennis Haysbert Will Replace Michael Clarke Duncan in ‘Sin City 2’!!! Unfortunately, the late great and wonderful actor Michael Clarke Duncan will not be able to reprise his role as Manute in Robert Rodriguez‘s sequel of ‘Sin City‘ due to his untimely death. 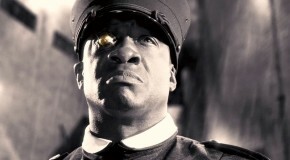 However, actor Dennis Haysbert (President Palmer on ‘24‘) will replace Duncan in that role for the ‘Sin CIty’ sequel. And if you haven’t seen Haysbert as President Palmer, it might just be the greatest president of the USA ever portrayed on television. Rodriguez is directing the sequel with comic creator Frank Miller and Mickey Rourke, Jessica Alba, Jamie King, and Rosario Dawson are all expected return. Jamie Chung will replace Devon Aoki in the sequel. One of the stories that will be featured in the sequel is ‘A Dame to Kill For‘ and centers on a man named Dwight who is entangled in a very complex and dangerous relationship with a femme fatale named Ava. At one point, we heard Angelina Jolie was going to play the part of Ava, and we hope Clive Owen returns to the sequel as well. Can’t wait. Film Review: ‘Sin City 2: A Dame To Kill For’!! Joseph Gordon-Levitt Takes The Lead in ‘Sin City 2’!!! Enjoy the Trailer for ‘Sin City: A Dame To Kill For’!! ‘Sin City: A Dame to Die For’ Red-Band Trailer is Here!!! This entry was posted on Thursday, December 6th, 2012 at 1:05 pm	and is filed under Comics, Film, News. You can follow any responses to this entry through the RSS 2.0 feed. You can skip to the end and leave a response. Pinging is currently not allowed. « ‘Freaks and Geek’s Reunion!!! You can get it one of two ways. You can get it from his checking account voluntarily, or his insurance policy. Involuntary manslaughter. Which one is it gon' be?